Prospective clients come into your office. You have a great talk. They present issues they need help with and you explain that you can certainly help them. They may have been referred to you by a client or a Center of Influence (COI), or they may have found you through an internet search, but that still didn’t do the trick to get them to hire you. News Flash – 70% close ratio? Not all clients are going to hire you! But if you don’t have a close ratio of at least 70%, then something’s wrong. What happened? Maybe you haven’t listened to their challenges and they don’t feel “heard.” Maybe you did all the talking? Maybe you are pushy, arrogant, or condescending? Or maybe you just haven’t done the necessary work on your practice to earn their business. Clients work with me because something is out of whack with their Value Proposition or their positioning. I gladly help them (if I don’t have a waiting list), but I am not your run-of-the-mill financial advisor coach! I help clients SEE what is wrong with their messaging and value proposition, and help them make it right so that their prospecting strategies work and they increase their close ratio. 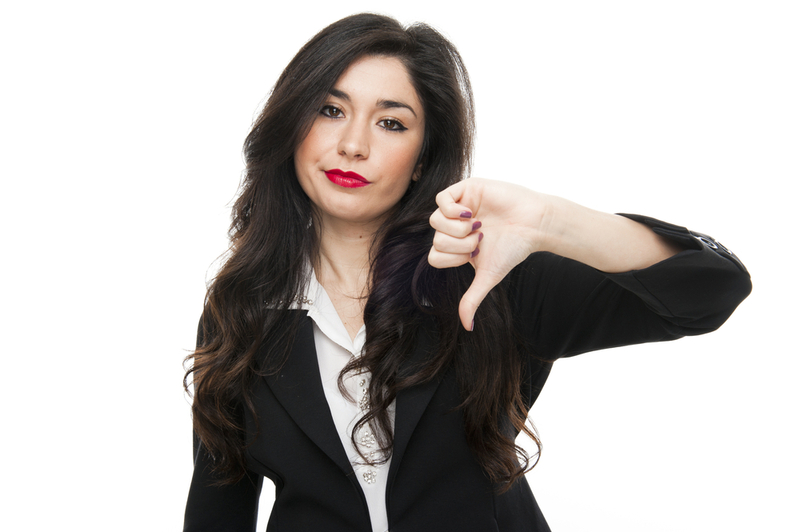 This blog post address why clients are saying NO to Financial Advisors! Reason #1 for financial advisors not getting new clients – You are not known for something! Visualize an earning pyramid. The widest part is at the bottom. As you ascend the pyramid it narrows representing income growth the higher you go. The higher you go, the fewer advisors you have to compete against. Generalists financial advisors are at the bottom of the earning pyramid. They are not known for any expertise or client type. They may have come from the insurance world and have never transitioned to managed money. They may few designations and never felt the need to focus on financial planning, retirement income planning, or investment management. Going up to the next level means you’re working ON your business. You’re determined to attract a better quality client that has more sophisticated needs and assets you can manage. You’re investing in yourself and your knowledge. You’re doing the difficult work. You are becoming known for SOMETHING! You’re not the average advisor. People seek you out due to your knowledge or client specific expertise. Consumers have turned into a culture of secret shoppers. Checking your reputation behind the scenes. Who are you? What’s important to you? What are you passionate about? How long have you been a financial advisor? What do you do in your spare time? Do you volunteer for any special cause? We want to learn MORE! You’re a financial advisor. I get that. You passed your series 65 or 66. That takes intelligence (and exam-taking skills). You may have several professional designations like the CFP, ChFC, or the RICP. You are whiz at analyzing investments and putting together model portfolios. When you speak with prospective clients, you love to talk about portfolio risk, average market returns over decades, and perhaps even Modern Portfolio Theory. That is all LEFT BRAIN. It was Zig Ziglar who said the best marketing presentations (and that’s what you’re doing when you meet with prospective clients), combine the left brain (features, analytics, returns, etc) with the right brain (emotional messages). What does this mean? If you are not discussing the emotional benefits of having an financial planner, then you are missing out on closing many potential clients. If your website only talks about you, you’re missing out. If your LinkedIn profile only talks about how great you are, you’re missing out. If you don’t use visuals in the design of your website, you’re missing the potential of having many more quality clients. What I want for you, is better quality ideal clients that are lining up at your office door ready to do business with you! If you want this too, request a consultation!